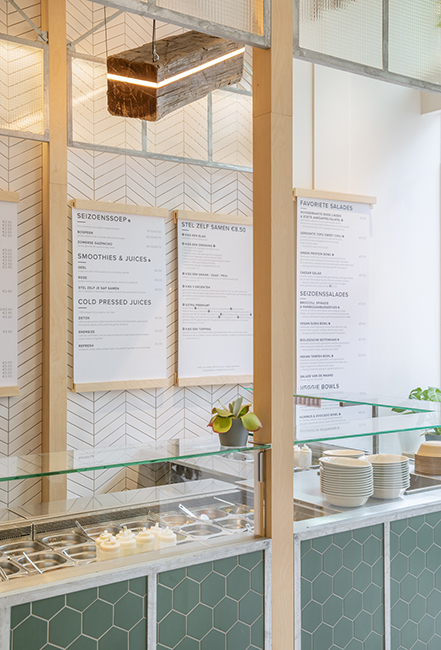 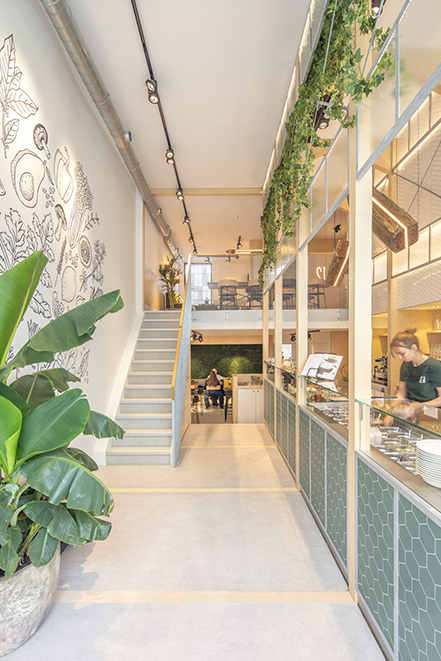 Six years after introducing their salad bar in Amsterdam, SLA recently opened the doors to their 12th location, and first in Rotterdam. 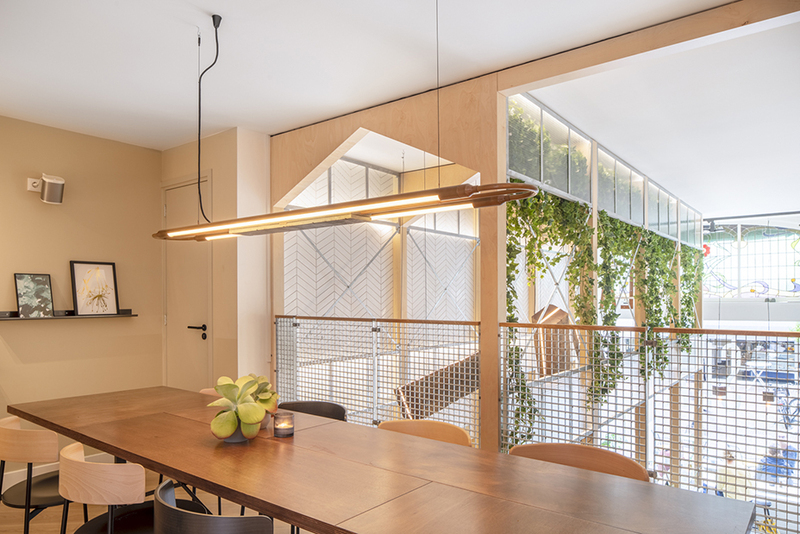 Interior design firm Standard Studio created a recognizable interior which naturally conveys the pure and healthy identity of SLA, and at the same time reflects the raw and industrial character of the city of Rotterdam. 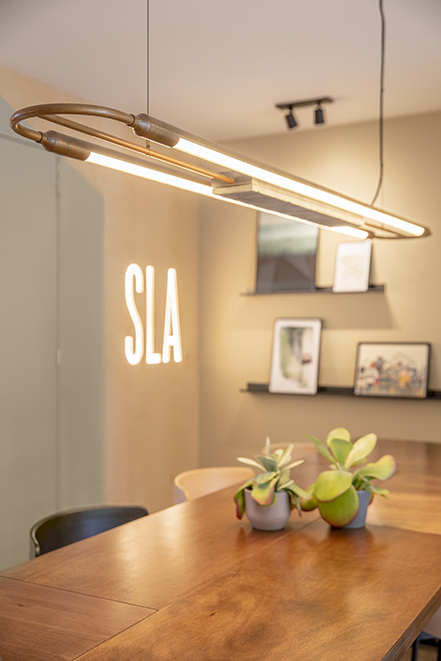 Standard Studio approached Blom & Blom, to craft bespoke lighting fixtures as the final touch in delivering a distinctive ambiance for SLA. 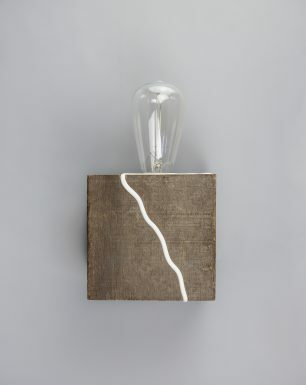 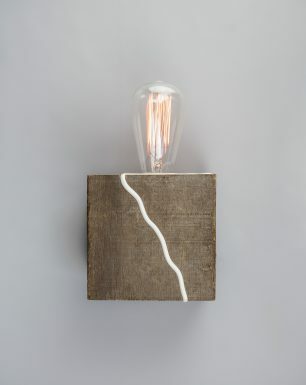 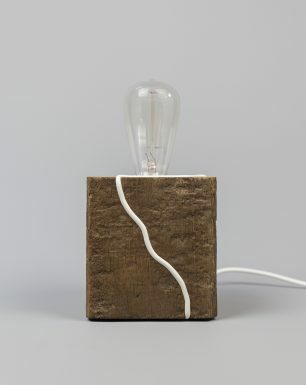 Blom & Blom’s lighting concept for SLA showcases the use of sustainable and organic materials expressing a rough and natural authenticity. 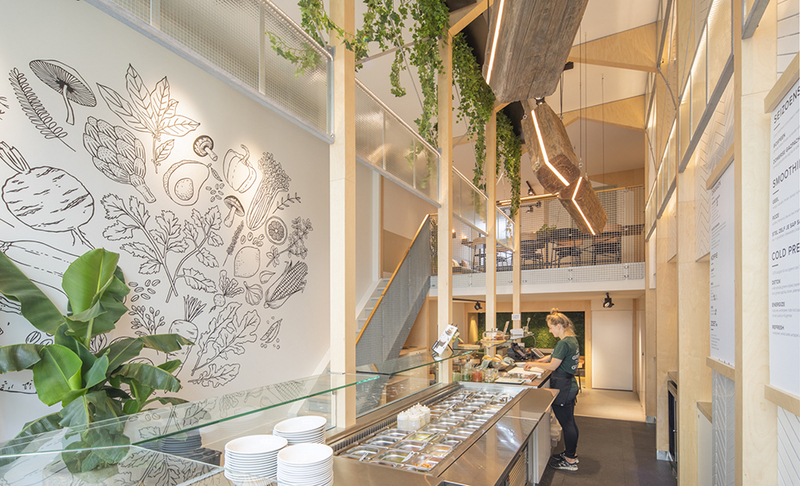 As a central element of the interior, Blom & Blom designed a bespoke lighting installation of massive wooden beams which are suspended by thin steel cables above the salad counter and focal point of the restaurant. 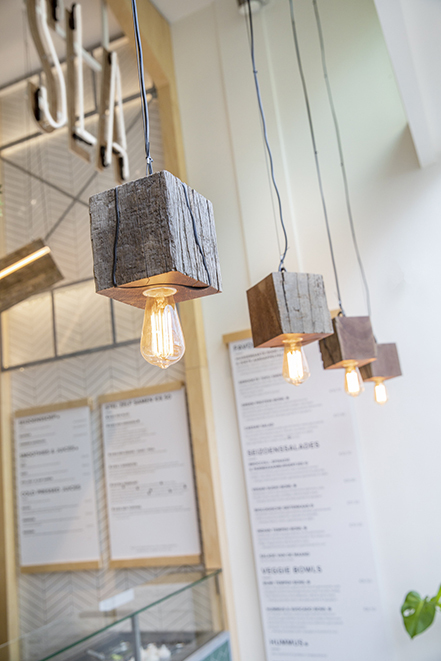 These impressive beams are made from discarded pilings that had been in the water for over 40 years and were originally used to support the docks in the harbor. 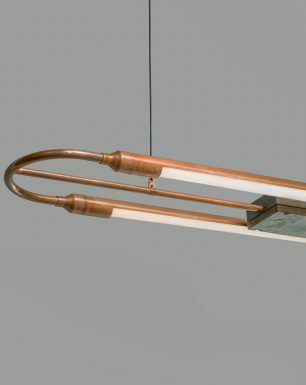 A slim LED channel runs the length of the robust beams for a minimalistic effect. 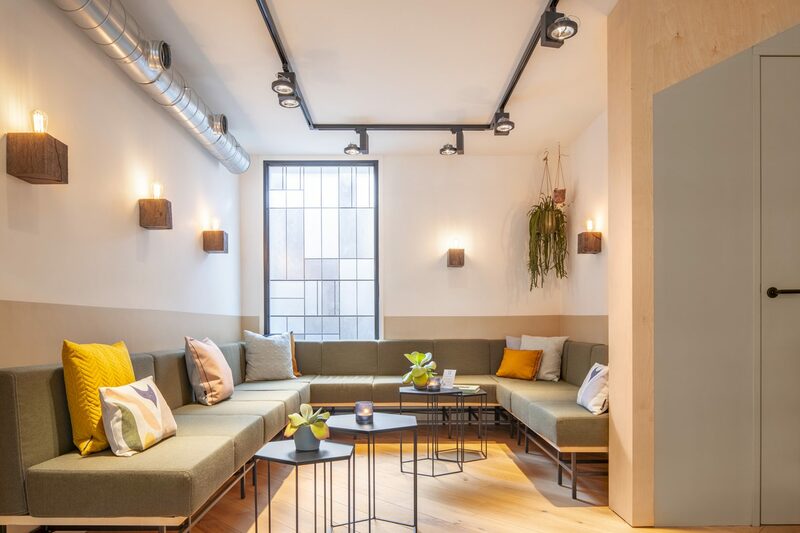 Balancing size and elements in striking contrast, Blom and Blom achieved a bold impact that appears to float within the space. 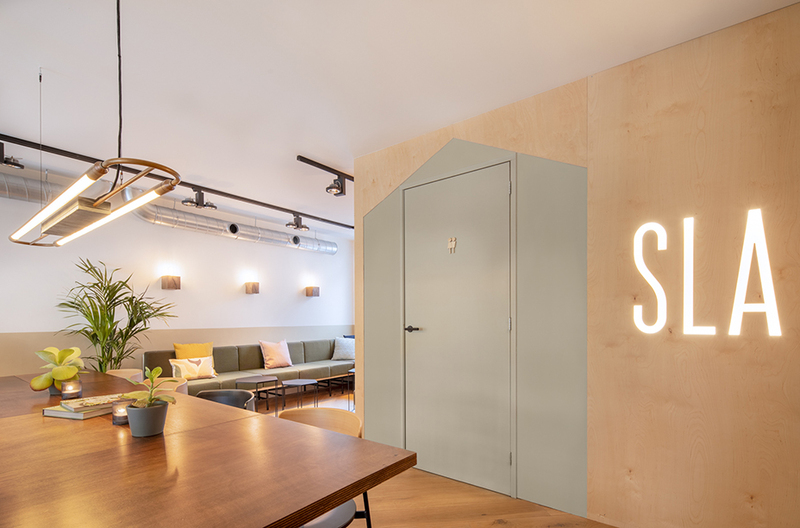 Additional pieces from the Blom & Blom collection were selected to highlight the communal table, walls, and front window at the new SLA. 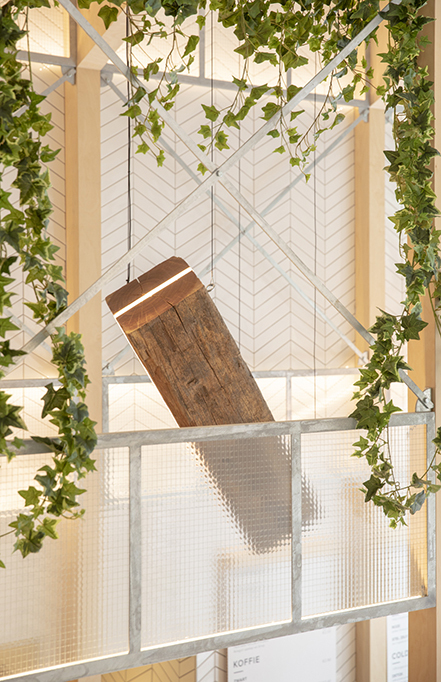 The Giant Copperhead ceiling lamp that gracefully hovers above the communal table. 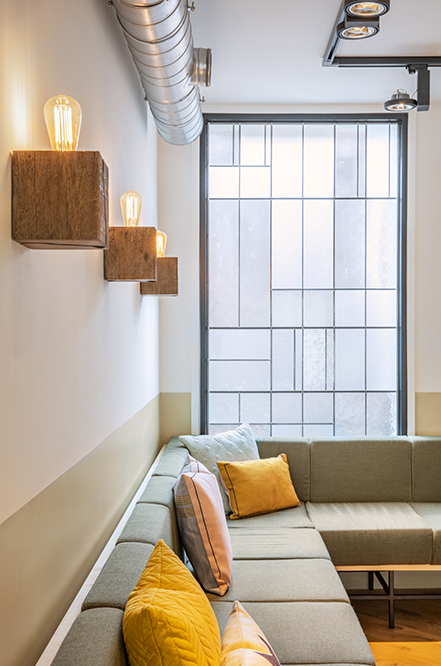 The front window and walls are illuminated with lamps chosen from Blom and Blom’s Fox line. 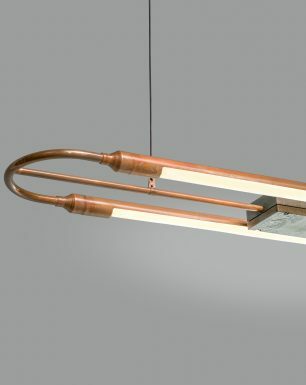 De pendant version of the Cape Fox is available on request.